"Very happy with these beautiful superlightweight wheels, first I thought the box was empty! 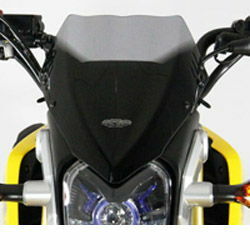 It is for a HONDA MSX/Grom Dragger project, making it lightweight as possible, lower and longer... Thanks again!" "Lighter and just as strong as the stock wheels. You won't be let down. I've ridden these things for about 1000 miles now, and couldn't be happier. It feels so different it's amazing... if you have the money do it, this is the best thing I've done to this bike so far." 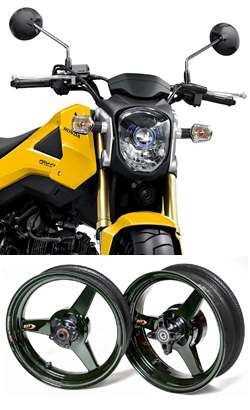 "These wheels are the strongest and lightest wheels you can buy for the Grom. Better acceleration, braking, top speed, handling, mpg, strength and comfort." !quote, black diamond, fiber, wheels, msx, 125, 2013, 2014, 2015, 2016, 2017, 2018, 2019, 2020, 13, 14, 15, 16, 17, 18, 19, 20!